The safety of electronic cigarettes seems to be a huge debate these days and so I thought it would be well addressed here. 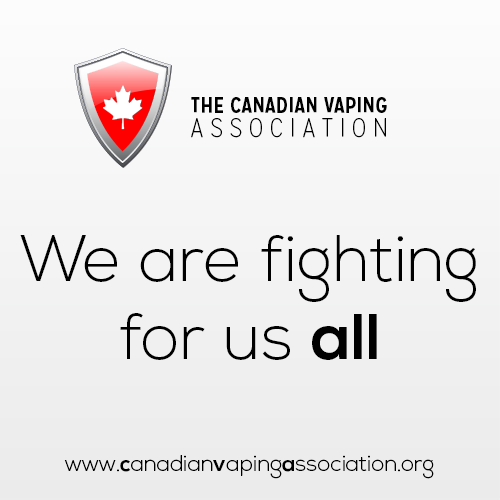 After all, this vaping guide just wouldn’t be complete without addressing the common issues and questions new and would-be vapers need answers to before making the switch from smoking to vaping. So, let’s get right to it. Are e-cigs safe? Let’s explore that question together, shall we? How safe are e-cigs for users? Are e-cigs unsafe for bystanders from “second hand vapor”? Which electronic cigarette/e-liquid brands are the safest? In finding out how safe electronic cigarettes are, we first need to know more about how e-cigs actually work before we can make an intelligent assessment based on fact and not one based on fear mongering or propaganda. Electronic cigarettes heat up a liquid solution (with or without nicotine) just hot enough to vaporize it, but never hot enough to actually burn it. As there is never any combustion, there are no carcinogens as there are in virtually all forms of smoke. The vapor produced from electronic cigarettes is actually comparable to the vapor seen at night clubs and staged events seen as smoke and is generally considered by the FDA as safe. E-cigs were originally invented by Hon Lik who watched his father dying of lung cancer and was still unable to quit smoking. He wanted to find a way to produce the same feeling with vapor instead of smoke as way of reducing the harms caused by smoking. E-cigs are completely electronic, users are not smokers and although some e-cigs look like cigarettes, they are actually not really related to cigarettes at all and are more closely related to other forms of nicotine replacement therapy like the nicotine gum or the patch. Electronic cigarettes are just an electronic nicotine delivery system and should be grouped in the same category as every other form of nicotine replacement therapy. The only reason they are not is because they have yet to be taken over by big business and the huge moneyed interests. That will come. Once that happens, as you can well imagine, e-cigs will be touted as the miracle quit smoking method that saves and has saved countless lives. That is already true, but until big tobacco starts rolling in profits with e-cigs as well as big pharma, I’m afraid the only real news we’ll get about electronic cigarettes will be negative propaganda campaigns. Knowing how e-cigs actually work helps put many users’ fears to bed immediately. For those of you who are more skeptical and need a little bit information more before making a decision for yourself, let’s look further into what makes up an e-liquid for more evidence about the overall safety of electronic cigarette use (vaping). Let’s start with the Vegetable Glycerin (VG). Glycerine, also knows as Glycerol is used in a wide array of pharmaceutical applications. Apparently, although I have never tasted it myself, it is quite sweet. It is completely non-toxic and is regarded as safe by the FDA. Next, we have to look at the Propylene Glycol (PG). This is where a lot of the debate over safety has been focused. It is the same liquid substance that is used in many food processing solutions. It is also considered generally safe by the FDA and is non-toxic. It is pretty much odorless and relatively tasteless although it is also said to have a slightly sweet taste. The liquid nicotine added to the solution is usually of pharmaceutical grade and is derived from the tobacco plant itself. The same nicotine that goes into most e-liquid goes into other NRTs (nicotine replacement therapies) that are then sold at pharmacies. Having looked at the ingredients of e-liquid, and what is in e-cig vapor, what do you think? Do you think electronic cigarettes are safe? I know for me, it’s pretty obvious. Is vaping safe for the users (vapers)? Very good question which I feel we have answered in the preceding sections, but let’s get some experts in here to weigh in. Dr. Ross, who is the Medical Director of the American Council on Science and Health very clearly states that e-cigs represent no significant harms to either users of bystanders and has used an e-cig himself to quit smoking. To read more from Dr. Ross himself, click here. Keep smoking which we know for a fact is deadly. Use a vapor (electronic) cigarette. For those who are able to quit smoking either cold turkey or with the more traditional nicotine replacements, all the power to you. For those of us who have tried and failed, and who continue to smoke, why would anyone want to demonize a healthier alternative? One thing is for sure: if you smoke, you will have health problems. 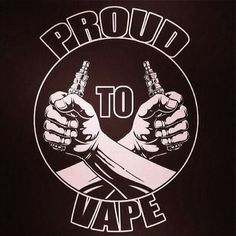 So far all the research suggests that vapers have perfectly healthy lungs and suffer no adverse effects, why would reports continually be coming out regarding potential dangers? Some of the articles are so ludicrous, their transparent agenda is laughable. One example of this is an article I read yesterday where a man in Texas complained about his e-cig battery “blowing up” and hitting him in the leg with “shrapnel like shards of metal”. The close up picture looked pretty gruesome showing the scar on his calf, and the quote said: “I’m going back to the ciggies, they’re safest”. I nearly fell off my chair. It’s funny though, I’ve read stories regarding iPhone batteries exploding too, but they never seem to make as big a headline. We know that with lithium ion batteries being left plugged in too long can sometimes over-heat and in the rarest of cases, we have heard of batteries “exploding”. Usually it just pops inside. Sometimes it make a loud noise and sometimes, pieces of metal have been tossed about. Those are the rarest of cases and if you are using the proper equipment should never be an issue. The story from the man in Texas blamed the problem on attachments being forced together from different manufacturers and were misaligned. Of course using parts that don’t fit together and forcing them to work is inadvisable. Let’s face facts though, you’d have a better chance of being hit by lightning than by being harmed by an e-cig or for that matter, cell phone battery exploding. Never use your e-cig while plugged in and never leave it plugged in unattended for extended periods of time. Once it is charged, unplug it. I promise you, exploding batteries will never be an issue. Let’s be honest here, these articles and propaganda campaigns against the electronic cigarette aren’t about safety at all, it’s all about money. Or, should I say, money and politics. If you have a minute, listen to what former US Congressman Matt Salmon who is now the president of the ECA has to say about the safety of electronic cigarettes in the video below. Once again, let me put the question back to you. Are electronic cigarettes safe? What do you think? This article was written several years ago, at the time ego style e-cigs were the most advanced model along with “mechanical mods”. We have seen in the last few years loose batteries short out in pockets and burst into flames when hitting keys, loose change, etc. It is for that reason that I have added a section addressing this issue called “Battery Safety” which you can read here. As long as proper care is taken, exploding batteries are a non-issue. As with anything, some care is needed when dealing with more advanced / modified devices. Let’s continue and look at potential harms from “secondhand vapor”. Is vaping unsafe for bystanders from “secondhand vapor”? This is another great question and particularly if you have children, a valid concern before you start vaping up a storm in the house. 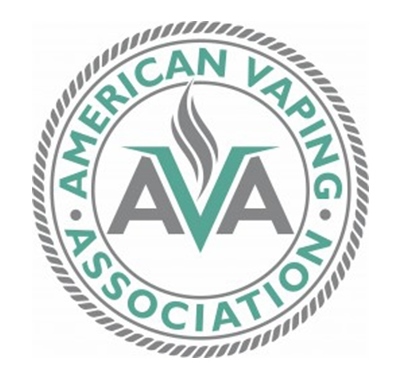 When asked about the potential harms to bystanders through “second hand vapor”, Dr. Ross of the American Council on Health and Science as do countless others clearly state that there are none. The vapor produced by electronic cigarettes is less harmful than the vapor produced by “smoke machines” at concerts and in bars. The same basic components are used but in a much better FDA approved food grade quality, using only pharmaceutical grade nicotine. There are actually more carcinogens from the exhaust of automobiles in the air you breath every day than there are in the vapor from an electronic cigarette. 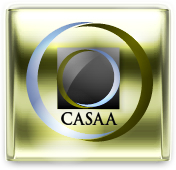 There is absolutely no indication of any harm whatsoever to either the user of the bystander through the use of vapor cigarettes and the inhalation of “secondhand vapor”. I shared this video on another page but I believe it has a place here too. It is an interview with Dr. Ross speaking more about the safety of electronic cigarettes and specifically speaking about secondhand vapor and the effects on bystanders. If you have a moment, it’s worth the watch. So clearly electronic cigarette are indeed a safe alternative to smoking cigarettes and clearly they represent no significant harm whatsoever. If you do smoke, and if you would like to quit, I urge you to try a vapor cigarette. You’ll be amazed at how much better you feel, smell and can actually breath again! E-cigs worked for me and without them I can almost guarantee you I would still be smoking. If you are ready to give it a try, let’s have a look at the safest electronic cigarette brands out there. I have made it a point to make sure all of the companies listed on this site are as reputable and transparent as possible in terms of what is in their e-liquid. The absolute best e-liquid brand in my opinion is Halo. All of Halo’s signature “smoke juice” is made with the highest quality Pharmaceutical and United States Pharmacopeia (USP) grade ingredients. They are by far the best known and highest quality e-liquid maker in the United States. Each electronic cigarette brand listed in the e-cig review section as well as the e-liquid review page only uses the best, top quality ingredients. Above are just two examples of what I would call the safest as they are they are most transparent in listing their ingredients and being certified wherever possible. So…are e-cigs safe? Do e-cigs represent any harms to bystanders through “second hand vapor”? Which e-cig brands are safest? After reading through these pages, you tell me!